According to structural characteristics, composites are classified as laminated structure and sandwich structure. Carbon/epoxy laminate and foam core sandwich composite are the most commonly used laminate and sandwich structure material in the aircraft industry. The flammability of epoxy resins and foam core material is an inherent hazard. Many previous studies focused primarily on their mechanical properties, while the studies on the thermal and fire properties of carbon/epoxy laminate and its foam core sandwich composite have rarely conducted. 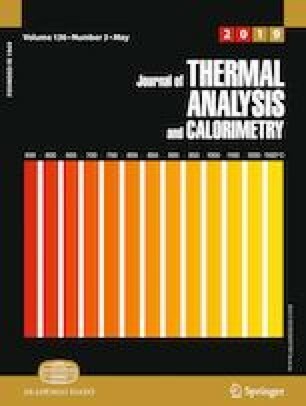 Therefore, to characterize their thermal and fire properties, a comprehensive experimental investigation and theoretical analysis were carried out in this work using thermogravimetric analysis, cone calorimeter, vertical/horizontal burning tests, limiting oxygen index and scanning electron microscope tests. Several typical characteristic parameters were obtained and analyzed, such as pyrolysis temperature, heat release rate, mass loss, flaming spread rate and limiting oxygen index. These experimental data coupled with theoretical analysis can provide support for fire risk assessment and fire protection design in aircrafts. The carbon/epoxy laminate and foam core sandwich composite are both characterized as the thermally thick materials. The ignition models and mass loss rate models were obtained. Foam core material negatively affects most of the thermal and fire properties of sandwich composite, but the foam core sandwich composite has self-extinguishing behavior during horizontal burning tests, whose LOI is higher than that of carbon/epoxy laminate. Thus, an important conclusion was reached that the ignition position and flame spread direction have critical effect on the fire behavior of foam core material. This work was sponsored by the Scientific Research Project of Liaoning Provincial Education Department (LZ01625). Authors are grateful for the support by China Scholarship Council and the Dale F. Janes Endowed Professorship at Oklahoma State University (USA).